In times of crisis and change human beings throughout the ages have sought out “sacred places” where they could experience regeneration and renewal. 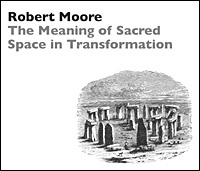 This course explores the nature and dynamics of transformative space as it has been experienced from ancient times to the present. Primitive tribal experiences of sacred space are examined and related to modern experiences of regernative space, including an analysis of the ways in which our contemporaries act out—often unconsciously—their search for a healer and a healing place. Particular attention is given to the relationship between analyst and analysand as a vessel in which transformative space manifests itself.